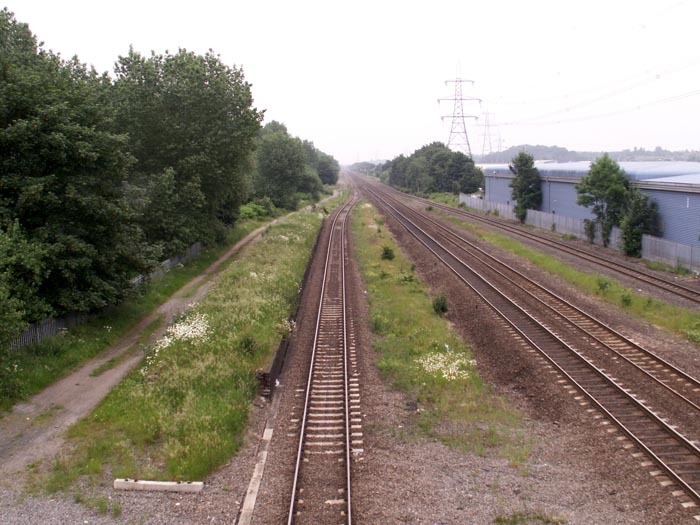 Castle Bromwich station opened on the Birmingham and Derby Junction Railway's line from Lawley Street to Derby in 1842, Castle Bromwich station underwent a complete rebuild in 1901 under the Midland Railway and survived in that form until closure in 1968. 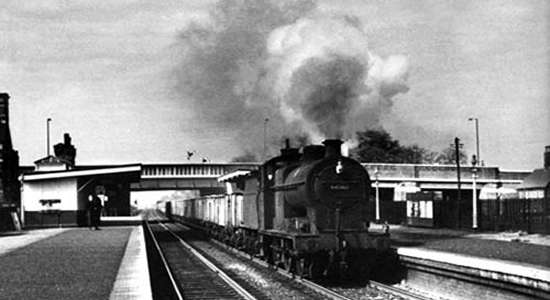 Seen above is the station in 1963 looking towards Birmingham with the Chester Road bridge, from which the station was accessed, ahead (photo: G.Robinson). 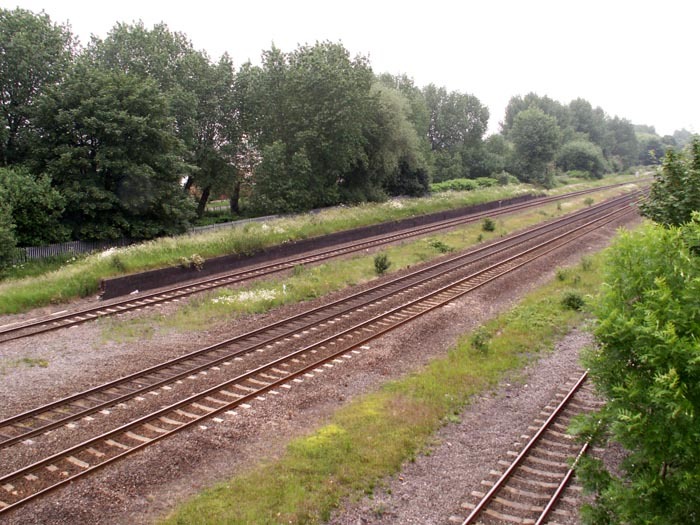 Above-left we are standing on a new lane section of the Chester Road bridge looking at the station site towards Water Orton. 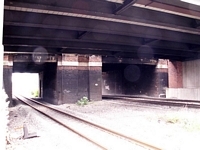 The original bridge is immediately to the rear, running parallel with the new bridge added when the road was turned into a dual carriageway. 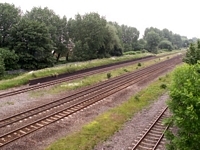 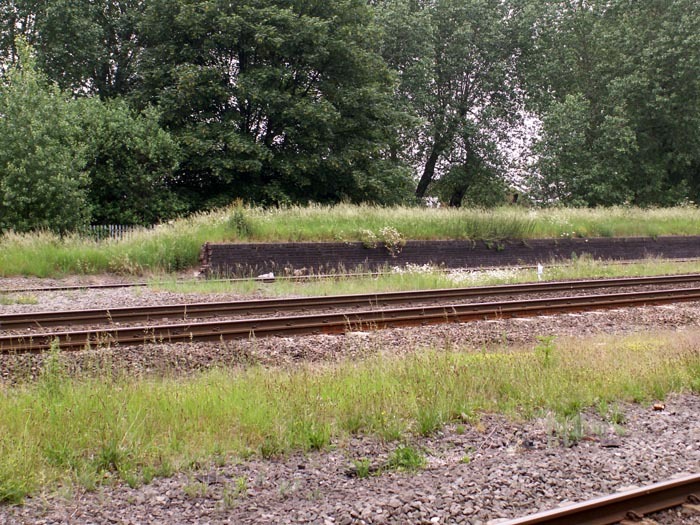 Above-right we can see that the remains of the Derby platform are still in situ. 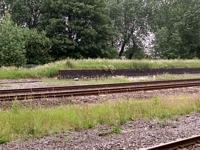 Above-left we have walked down from Chester Road bridge to a track access gate and are looking directly across to the crumbling remains of the Derby platform. 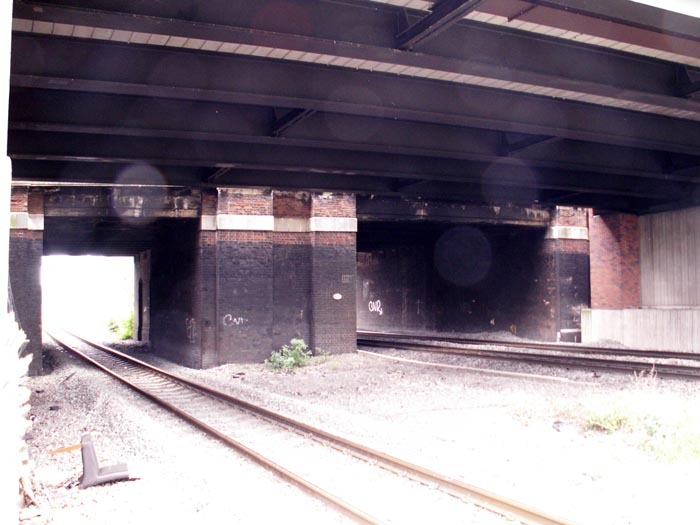 Above-right we have turned towards Birmingham at the same spot as for the previous photograph to see the original Chester Road bridge through the mouth of the new one.